Choosing chocolate for a baking project can be intimidating. Many recipes might specify a cocoa percentage--say, 65% cocoa solids--but when you get to the store, your only options appear to be milk, semi-sweet, or dark. Or, even more confusingly, they may say "good quality" or "best quality" chocolate, and what does THAT even mean? What Does "Quality Chocolate" Mean? The question of what constitutes "quality chocolate" is a bit trickier to determine, and much more subjective. Sure, there are some cheap chocolates that have a bad flavor, be it burnt, or sickly-sweet, or slightly rancid, but by and large, choosing the best chocolate for your project will be a matter of your personal taste. As long as you are staying true to what cocoa percentage or type of chocolate the recipe specifies, you have a lot of latitude in choosing chocolate. People often ask me, "What is the BEST chocolate I can buy?" and then they're frustrated when I don't just provide them with one answer. The truth is, there's not a "best" chocolate. There are some brands that are widely perceived to be high quality, and those are listed at the bottom of this article. But I've found that I like some of them much more than others, and you may find that you have some clear favorites as well. Cost is one major concern when picking a "quality chocolate" for a project. The truth is, chocolate can be very expensive. Depending on the brand, you can be paying $10-20/lb for the chocolate, which can add up in a hurry! And it may be true that one $20/lb brand is fantastic, but there's an $8/lb brand that's almost as good. Sometimes, the "best" chocolate for a ​project may not be the one that tastes the best, but instead will be the one that fits the budget and still tastes good. That may seem like a funny question, but many people feel intimidated to make a judgment call about what constitutes good chocolate. 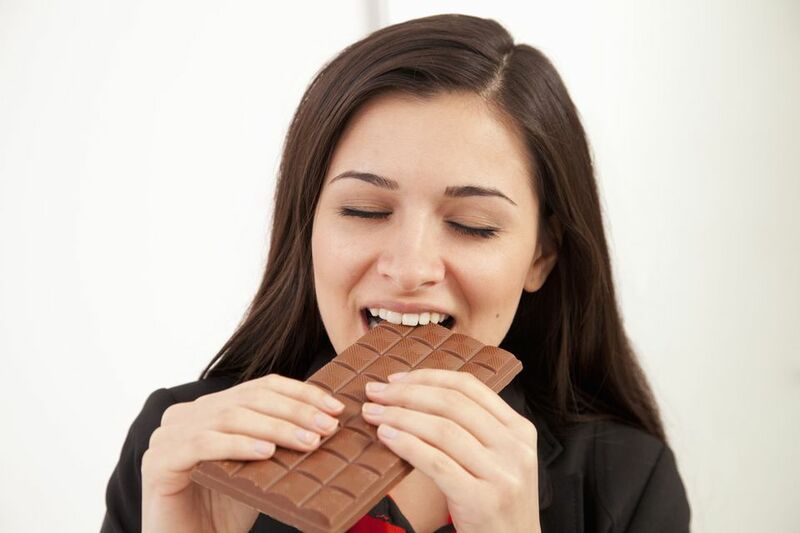 Chocolate, like wine, has developed a bit of a snobby reputation, and I regularly get emails from people expressing frustration with not knowing how to taste chocolate and trust their own tastebuds! I stand by my conviction that chocolate does not have to be made so complicated, but for those truly serious about the business of tasting and choosing chocolate, there are some best practices to consider. Selecting chocolate should primarily be a sensory experience. Before you taste the chocolate, look at it closely. You want chocolate that has a glossy surface and is free from blemishes. If the surface is scarred, cloudy, or gray, this may be a sign that the chocolate is old or has been subject to extremes in temperature or handling. Next, break the chocolate into pieces. You want a chocolate with a clean, hard “snap” to it. If it bends or crumbles, either the quality is low or the chocolate is old. Good chocolate will smell strongly of chocolate. Rub your fingers over the surface to warm the chocolate, and then smell the bar. If it doesn’t smell like chocolate, or if it smells primarily of vanilla or other added ingredients, it probably won’t taste very much like chocolate either. Chocolate easily picks up odors from its environment, so be aware if your chocolate smells like coffee, tea, or other aromatic foodstuffs. Finally, taste the chocolate. Pay attention to the way it melts in your mouth: does it feel waxy? Unpleasantly chewy or dense? Does it leave a slightly slippery feeling? Does it feel sandy, or smooth? In general, a smooth, velvety mouthfeel is preferred. Also, notice what flavors you can find in the chocolate. Common descriptions of chocolate notes include floral, citrus, berry, coffee, and wine undertones. Notice if the flavor bursts out all at once, or if it gradually builds in intensity and lingers after the chocolate has left. Above all, trust your own taste buds. Chocolate preference is very personal, and you know what tastes good to you, so select chocolate that you will enjoy eating. There are many, many different brands of chocolate and chocolate manufacturers to choose from. I personally like to use Callebaut, Cacao Barry, and Guittard for more casual baking (or projects where I have a smaller budget), and Valrhona for those times when I really want the chocolate flavor to shine and be the star. In addition to these brands, El Rey, Felchin, and Scharffen Berger are all great brands as well. What Makes Couverture Chocolate so Good? How to Make Chocolate Brush Strokes - Quick and Easy Photo Tutorial! Tour 11 Chocolate and Candy Factories in the U.S.